How To Solve The Problems Of Sauce Packaging? Home/Blog/How To Solve The Problems Of Sauce Packaging? 1. Because the color of the sauce and sauce packaging can not cover the color of the sauce and sauce, the color of the packaging pattern will be darker. Therefore, when designing the packaging pattern, the color of the contents is estimated, and the background color is deepened or the hiding power is strengthened, and the color of the sauce and the sauce product is not allowed to pass or the background color of the pattern is less transmitted. 2, the composite inner membrane of the sauce and sauce packaging should use a film that is resistant to oil, gas, and salt. Do not use a single-component adhesive that does not cure the gel film to prevent the oil of sauce and sauce. The quality, salt and spicy substances penetrate the inner film and the composite film, so that the ink printed on the packaging mask will not be eroded. Of course, the color of the pattern of the sauce and the sauce package will not be discolored by erosion. 3, the packaging of sauces and sauce products, in addition to the selection of the inner film with strong leakage resistance, should also be compounded with two-component polyurethane adhesive. Appropriately increase the amount of glue and prolong the curing time of the composite film, so that the oil, salt and spicy substances in the sauce and sauce products are difficult to penetrate the inner membrane. The cured composite layer is re-adhered or penetrates the film to erode the ink layer. This will greatly reduce the delamination of the composite packaging film caused by the composite adhesive and deinking. 4. 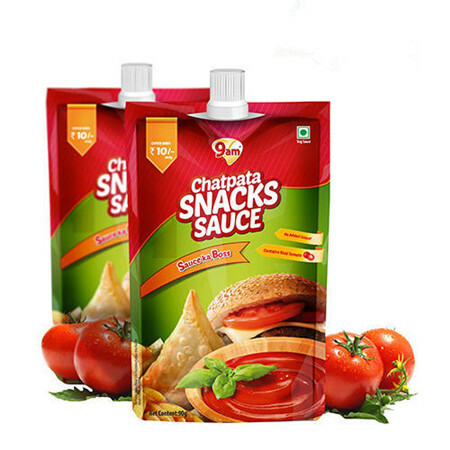 Improve the tools for filling sauces and sauce products to avoid contamination of the sealing parts of the packaging bags, which can reduce the failure of the heat sealing to the packaging mouth and reduce the damage rate of the packaging bags. Please contact us for any question. We will Response to you within 24 hours. By Lankerpack| 2019-02-01T01:11:29+00:00	January 30th, 2019|Blog|Comments Off on How To Solve The Problems Of Sauce Packaging?